The new iPhone XS running iOS 12 has been jailbroken by Pangu, reports Min(Spark) Zheng, an iOS security engineer at Alibaba. Zheng revealed the accomplishment in a post on Twitter. iOS 12 Jailbreak on iPhone XS by @PanguTeam ! Bypass PAC mitigation on the new A12 chip. That’s amazing!!! The attached screenshot shows root access on the 5.8-inch iPhone XS. It’s likely that the same feat could be accomplished on the iPhone XS Max as the two devices are very similar and use the same processor. 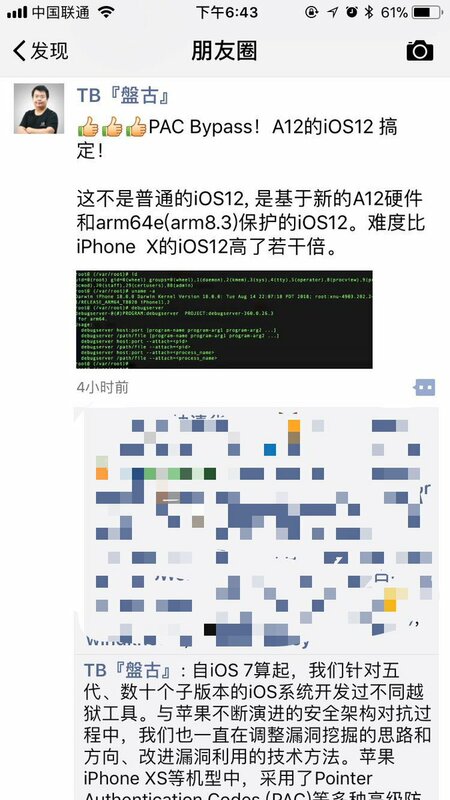 Pangu has released a public jailbreak in the past; however, that is no assurance that they will do so again. So far the team has not announced the accomplishment on any of their official channels. We’ll be watching closely for any further developments. You can follow iClarified on Twitter, Facebook, Google+, or RSS for updates.